Hi everyone, been to Ramen Champion Singapore held in Iluma yet? If not, check out the links below for my take on all 6 stalls there. 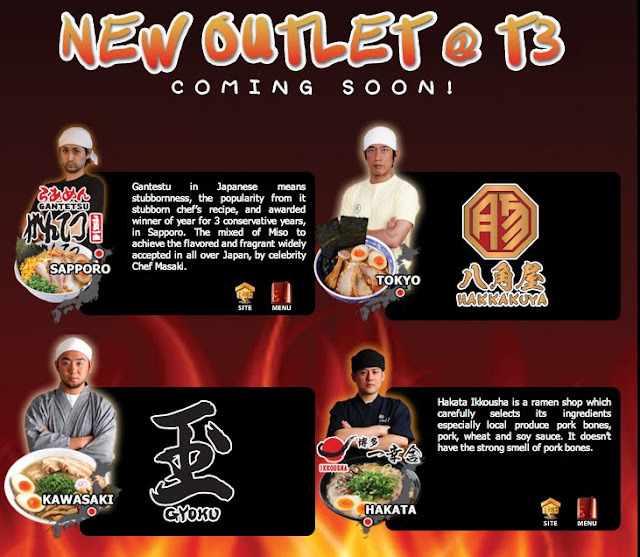 Following their success in Iluma, they are going to open a branch in Changi Airport T3 with 2 of my favorite Gantetsu and Ikkousha along with 2 new ones - Hakkakuya and Gyoku!